Esteban Villagómez is an Ecuadorian director, scriptwriter and editor. He studied film at the University of the Americas in Quito and has always shown a particular interest in intimate stories set in an urban atmosphere. 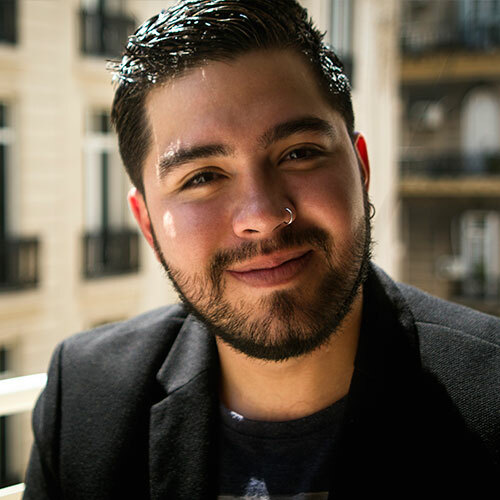 Esteban is currently working on his first feature film, Desde el ayer, a project which has been selected for various film forums, such as the co-production meeting of the 2018 Guadalajara International Film Festival, and which has been awarded a development grant by the Ecuadorian Institute for Film and Audiovisual Creation. Desde el ayer — While dreaming of recording his first rap album, Jota is reunited with his mother, from whom he has had no news for several years. Together for the first time, they will try to heal the wounds of the past to find balance in their lives.